Hello, Oklahoma Reading Association members and friends! I am so honored to serve as ORA state president this year! We have an amazing Board of Directors and Regional Directors, and we are looking forward to an exciting year. We will kick off this year for ORA with a Leadership Conference on Saturday, Oct. 28, from 10:00 to 2:00. It will be at Mid-America Christian University, 3600 SW 119th in Oklahoma City. We will be in Kennedy Hall, which is west of the main building. There is no charge for registration, and lunch is included. Thanks to Dr. Vickie Hinkle, our ILA coordinator, for taking the lead in this conference and for hosting us at her university. We hope you will join us! Please send a message to Dr. Vickie Hinkle, so we can have a count for lunch. We are pleased that our journal, The Oklahoma Reader, is now open access for everyone to read on this website. Please help us to spread the word as you encourage your colleagues to read and enjoy. Co-Editors are Dr. Julie Collins from the University of Central Oklahoma, and Dr. Donita Shaw from Oklahoma State University. We appreciate their commitment to this huge undertaking! We want to send our deepest thanks to Dr. Stephan Sargent, as we recognize his work as the previous editor of The Oklahoma Reader for the past several years! Prior to Dr. Sargent, editors included Dr. Sally Beach from the University of Oklahoma and Dr. Tim Green from East Central University. We know that the tradition of excellence in the journal will make you want to put it on your list of things to read. We hope you will visit our website often, along with the Oklahoma Reading Association’s Facebook page, for news and information in the coming months. 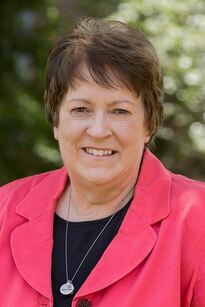 Thank to Connie Wise, Woodward Public Schools, for serving as our Media Chair. Please follow us on Facebook and watch for news and ideas from Connie and others. We have lots of plans for activities for our members this year. We are also looking forward to our state ORA Conference in the spring. Check back for updates! Please contact me anytime. Take some time to read something just because you want to!